The following file is created and posted by one of Pokemon funs... it's real. Official CM for TV will be on aired soon. Will post official one as well. This CM is for movie theater. 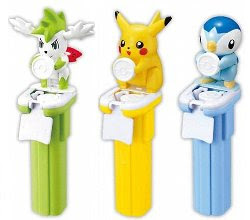 HottoMotto (taking away lunch-box franchise) starts to sell new Pokemon lunch-box set. Includes the following figure stamp randomly on 30 July to 17 August. 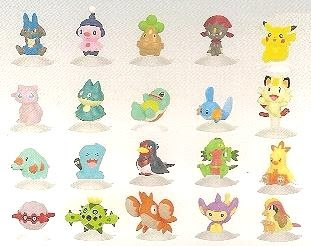 If 'win' ticket is included in the figure box, they will give extra Shaymin sky forme stamp. 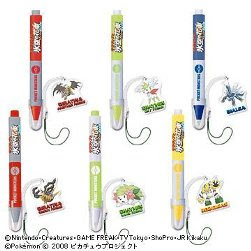 Yujin releases Pokemon DS Touch Pen movie 11th version in July, gashapon (capsule toy). Attched DS cleaner. When Shaymin sky forme was veiled, reversal coloring of this item was good hint for us. Bandai starts new Pokemon Kids series after completion DP series. It is new line from 492 Pokemon. The following 15 figures will be released in the middle of October. Pikachu The Movie 11 Store by ShoPro in YahooJapan starts to pre-order Pikachu extra large cushion and Movie 11th Primagraphie (*1) on sale. *1 Primagraphie is Toppan Printing Co. LTD's trademark. it is high quality digital printing technology, 8 clolors ink-jet printing method, spraying 5 milions fine-grained ink for one second, long light fastness. As know as enhanced Giclée prints. In previous article, it posted info for Leafeon and Glaceon plush. Since that, AAPF have received many inquiries. The following refernce is just 'partial photo' where Tokyo Toys Show 2008 was held on 19 to 22 June. Enjoy it until official photo comes ! 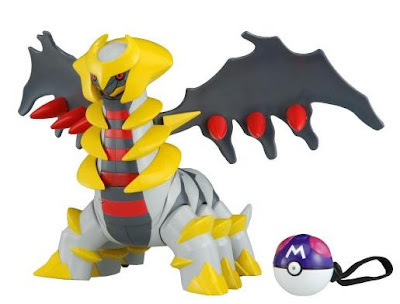 The following two Giratina action figures has been released/will be released from Tomy. Shaymin (land) and Junichi MASUDA (Gamefreak's director) come to your 'My Pokemon Ranch' via WiiConnect24 from 22-28 July. To trade this Shaymin is out of scope. All Nippon Airways (ANA) and Japan Railway (JR) East service Pokemon printing limited vehicles during 19 July to 15 September. Two Pokemon Jets (Boeing747-400) are service-in. Detailed schedule and service line are not announced officially. Seven Pokemon Shinkansens are service-in. Opening ceremony was held at JR Ueno station on 19 July, detail as follow. Posting movie files in Youtube is linked to here. One scientific news for you. Osaka Bioscience Institute (OBI) has identified Pikachurin that new protein (ligand) for dynamic visual acuity, and it is announced at Nature.com on 20 July. OBI named Pikachurin to new protein, because they believe it is lightning-fast moves same as Pikachu. As additional info, 'Raichu : RAs and Interacting protein CHimeric Unit' protein is produced, refer to Phogemon project. 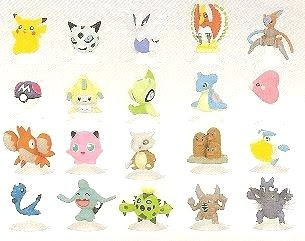 Subarudo will release 'Pokemon Diorama Magnet' in the end of August. Figure is detachable from Diorama, it has a magnet. As for TomyMC figures set and Choro-Q, release date is incorrect in previous article, would correct them here. 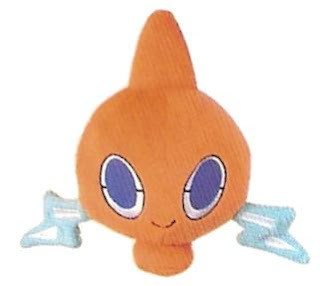 New Pokemon plush (Pokedoll) Rotom will be released from PokemonCenterJP in September. Size is approx. 5.5" height. Will update release date later. Pokemon movie 11th 'Giratina and the Icy Sky's Bouquet: Shaymin' is going to public release tomorrow. When watching movie, having popcorn unconsciously. The following photo is movie 10th and 11th popcorn boxes. Movie 11th box size : H180 x W145 x D90 mm/2055ml. 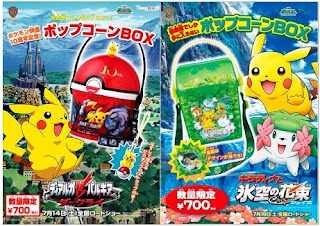 Tomy will release 'Pokemon MC (MonsterCollection) Panorama Bag' on 19 July. 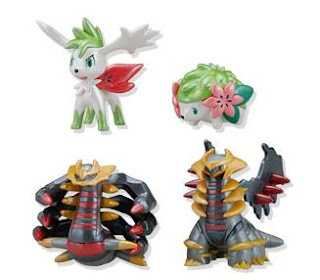 Includes 4 figures metallic version, Giratina (another, origin), Shaymin (land, sky). 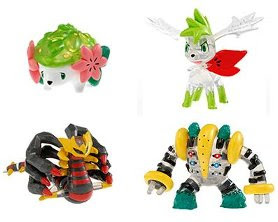 As for Giratina another and Shaymin land, it looks same as Tomy present figures. Photo for Pokemon Clipping Figures Part4 is uploading. Photo is uploading to previous article. Bandai will release Pokemon De Catch DP4 in the end of August, refill tablet and plate as well. Photo is uploading in the following previous article. As for TomyMC, three series are running at present. For easy searching TomyMC's info from AAPF, added/modified the following tag in category of blog right menu. Pokemon movie 11th 'Giratina and the Icy Sky's Bouquet: Shaymin' is going to public release on 19 July. As usual Tomy will release four clear figures. As for previous TomyMC figure clear version, please refer to movie 10th TomyMC clear figure and TomyMC clear figure list. And official movie site updates movie merchandise info, please refer to the following reference pages. Pokemon official site announces that outline of Pokemon World Championships 2009 for TCG and Game Platinum. Final stage will be held in US west coast (in August ?) . National tournament in Japan will be started in October. Official site will inform more detailed schedule and regulation etc later. 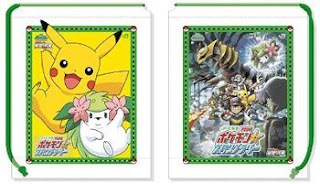 For movie 11th promotion, SevenEleven and JR (JapanRailway) will start Pokemon Stamp Rally respectively. Shogakukan (Japanese book publisher as known as publishing Corocoro etc) publishs 'Pokemon Fan Vol.4' on 15 July. The contents is movie 11th info, ads of upcoming merchandis. The followings are attached. Also Pachirisu TCG, Shaymin sticker etc are included, please refer to Shagakukan's page. Pokemon Movie 12th Info ? Official preview show is starting on 6 July and 12 July at major cities in Japan subsequently. The following personal blog reports on preview. As for next year movie 12th, it looks "Dialga vs Palkia vs Giratina " according to trailer. 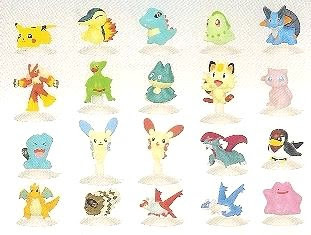 Countless Pokemon merchandises were produced and released so far as you know. Some series are carry on running now, on the other hand some series had been ended by some reason unfortunately. AAPF would like to start posting such previous merch one by one slowly. Hope you find "new item" here. 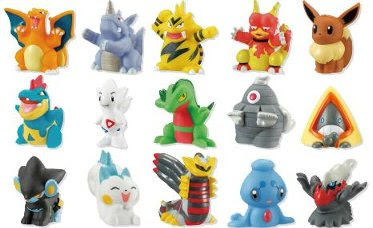 Here is first post, Baprsto Pokemon AG mini figure with sucker, size 2 cm, game prize, released in May 2005 to August 2005, covered RS series mainly. MediaFactory released 'Pokemon World' on 4 July. Kind of craft toy, it can be stick the sticker as you like and some diarama is pop-up, 2kinds, size : 20cm x 30cm. 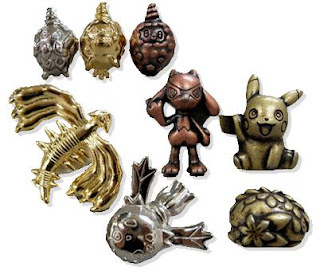 Kyoudo will release 8 figures, Pokemon metal figure collection DP6 in October. Size is 0.7", Gashapon (capsule toy). A figure has 5 color variation. (gold, dark gold, silver, gunmetal gray and copper) As for DP1 to Dp5 please refer to Pokemon Metal Figure Collection DP4 and DP5. In Pokemon Fair 2008 at SevenElevenJapan, Metallic Giratina another forme is on sale. 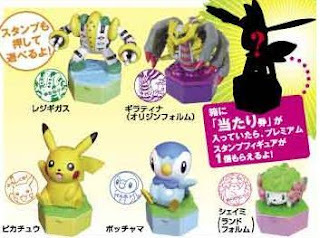 Pikachu and Piplup are other pose (same as this box set), Shaymin, Regigigas and Giratina origin forme are same as previous release. Prior released in Pokemon Fair 2008 at SevenElevenJapan, official release is in the end of September. As for Pokemon Fair 2008 at SevenElevenJapan, it is started on 10 July and official info page opened. Original items and prior sale items The following photo is new item, left is coin case, right is head moveable (right & left) plush. In their page, セブン&アイオリジナル商品 means original item, セブン-イレブン先行発売 means prior sale. As for TomyMC and PokemonKids, will post other article. 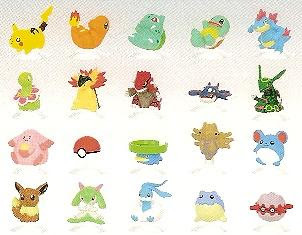 In previous article Pokemon Plush/Whistle in Ichiban-Kuji, final photo is uploaded here. 5 grade of prizes. Prize and Includes Probability (IP) of lottery are shown as follow. Thanks to Pokemon Platinum game thread in 2ch. Corocoro August's magazine mentions new game Platinum will be released on 13 September in Japan. Additional info to previous article Pokemon 151#2, T-Shirt has 2 colors of neck tag, red and green (Pokemon Red and Green as game name were released in Japan, not blue actually), it is selectable. And date "19960227-"　(game release date in Japan) is embroidered on sleeve tag. Do you realize this date is included in official site's url as well ? Additional info to previous article UT Pokemon project, Uniqlo will release new three T-Shirts on 12 July. Right-On Co. Ltd. is a Japanese casual wear retailer. They released new eight T-shirts, size is 100-130 cm. Bandai will release Megablock Giratina on 25 July, transformable origin and another. 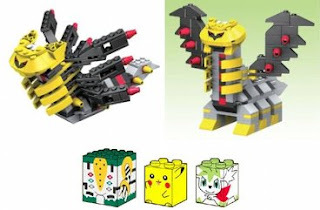 package size is 21 × 29 × 5.5 cm, includes Pikachu, Regigigas, Shaymin sky forme's blocks. This series has been started since 2005. As for released line up and all blocks, please check the following links, it's a useful site. 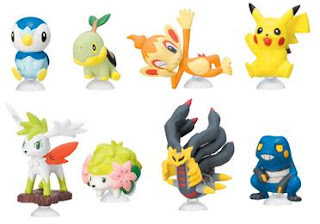 Yujin will release Zukan (3D Pokedex) Series DP09, 13 figures/6 sets in the end of October beginning of November. 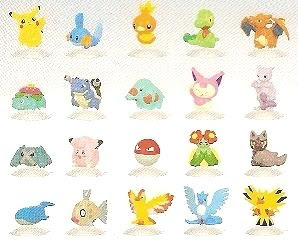 Updated summary list, refer to Pokemon DP figure release summary and 2008 Release Summary. [ Edit 3 August ] Additional info is post to this article. 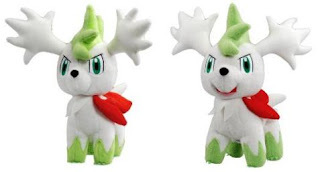 Tomy releases/will release the following Shaymin sky forme plush. As for talking Shaymin land forme, also will release on 24 July. 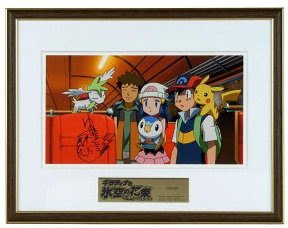 Coming soon Pokemon movie 11th release, number of listing of Pokemon items in YJ auction are most increase this time every year. How to search your item from huge listing in YJ auction efficiently, would introduce some tips. Some sellers are listing various items (mixed items) and listing title is "色々" or ”イロイロ" or "いろいろ". YJ search engine hits all of them as different term. In case of mixed Hiragana and Katakana of merchandise name, please search both of them. Directly you can specify the following format to search column. want search : not "カード"
On the other hands, also it is enjoyable to check one by one. Movie 11th runs for 114 minutes. Running time is second-longest, the longest is 'The First Movie' 129 minutes. Yahoo JP is updating the substantial contents, movie rough sketch, CoroCoro magazine May's movie story comic 67 pages (*1), and archive of previous movies trailers. As for archive of previous movies, also please refer to Pokemon movie official site. Install Procedure : When the click '立ち読み' in the page, comic special viewer (Digital Object Reader) will be installed automatically. Final photo of DP08 is uploded. Yujin will release Zukan (3D Pokedex) Series DP09 in the end of October. Will post the line up and photo later. Yujin will release Stick Mascot in the middle of July. Size is 3cm, gachopon toys. As for Yujin Pokemon Zukan (3D Pokedex) DP08, it is postponed again, 1 July to 17 July according to Gachapon shop notification. AAPF is having one year anniversary today. 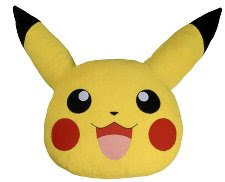 Will provide timely and credible information on figure and plush (game sometimes) for Pokemon fans. Hoping we continue to spend time together in AAPF.